We all envision a nice leisurely stroll through a shady park when considering getting a dog. How nice will it be to take the dog on walks in the evenings, just like in a movie. Unfortunately, this is not what your 4 legged friend has in mind as a good time. Dog’s love walks, there is no denying that but what they have in mind as a walk is far from the leisurely stroll you’ve envisioned. It’s important we understand what our canine companions have in mind before we create expectations. Have you ever watched a dog that was loose or off leash navigate their way around a neighborhood or park? They rarely stick to the side walk, dogs prefer to sweep across an area gathering in all of the interesting smells around them. They don’t move at a steady slow pace but rather trot from interest to interest, stopping to sniff, frolic, roll in something stinky, urinate on a bush or light pole. Their focus is on one thing, exploring the world around them. All of these behaviors are the opposite of what we as humans consider a “walk”. We walk in a straight line on a designated concrete path at a slow consistent pace. HOW BORING! (for your dog) This more often than not create a struggle of Herculean proportions. Your dog is more interested in sniffing and walking quickly back and forth for check out everything their doggie brains can take in, you are left being dragged behind them frantically trying to get them to slow down and pay attention to you. First, I highly recommend purchasing a no pull harness. Among all of the devices out there that claim to stop unwanted pulling, harness are the safest option. Anything that is around your dog’s neck, attached to a leash and then applied pressure to is doing irreversible damage to your dog’s trachea, thyroid, even their eye sight. 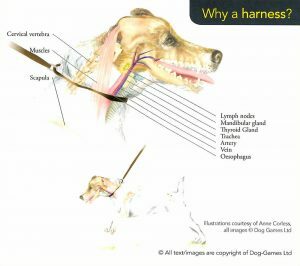 Dog’s necks are more sensitive than humans, they have much less protection to vitals organs from the harm of a collar, especially those that are designed to inflict pain and piercing/constant pressure (prong and chock collars). Any harness is safer than a collar. Period. With that being said, let’s look at some of our favorite no pull harnesses because after all we’d like to keep our arms attached to our bodies when taking our dog’s for a walk. 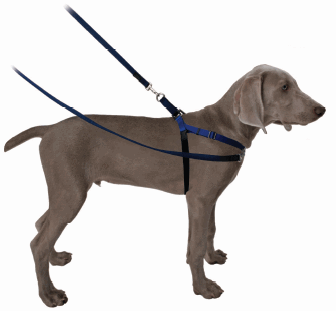 “The Easy Walk Harness gently discourages your dog from pulling on the leash. 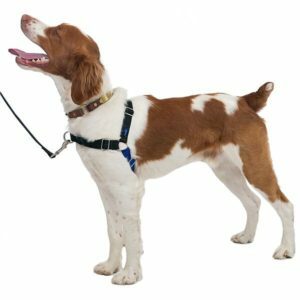 When your dog pulls, the harness steers your dog to the side and redirects his attention toward you. The harness rests across your dog’s chest instead of his throat, so there’s no choking or gagging. The Easy Walk Harness is perfect for everything from teaching your dog to heel during daily walks to keeping your dog under control at the vet or dog park. OK, so I want to be clear about one thing. 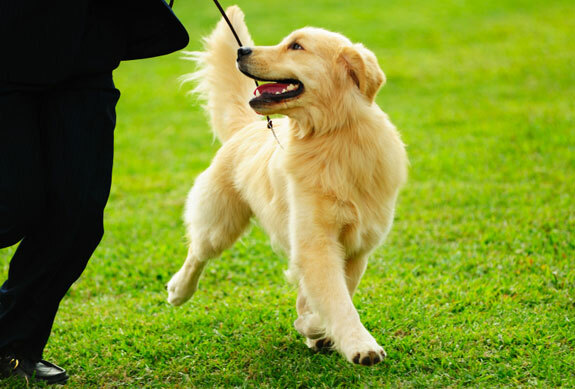 A harness will not teach your dog to walk on a loose leash, only training will do that. It will however allow you to comfortably walk your dog without them dragging you down the street and ripping your arm from the socket. This harness is the budget friendly option. Perfect for growing dogs, that will need a new size every few months. It’s relatively durable but make sure not to leave it on the dog as they can get their mouth around the front strapping and chew it off. Luckily, the manufacturer will replace the item if it’s chewed or defective. The unique patented harness design minimizes/eliminates pulling, neck strain, and the chance of escape. The harness is extremely effective for training and minimizes the effect of pulling for several reasons: (1) tightening effect of the loop on the harness, (2) the location of the loop, (3) the reconfigurable design that allows you to attach to only the back or to the front and back of the harness simultaneously. We love this harness. It’s a little on the pricey side but it works as well as the manufacturer says it does. It’s very durable, extremely comfortable for the dog and easy to handle for the human. Again, the product DOES NOT teach your dog to walk on a loose leash, it’s simply a device to stop them from pulling and gives you a little more control. W suggest this product for dog’s that are already or almost fully grown, for extra large breed dogs and extremely strong dogs. SO now you have your dog on a safe no pull harness, they’re no long able to drag you down the street and you’re starting to enjoy walks much more than before. What’s next? Now we start teaching the dog how to walk on a loose leash. First, now that we have control over our dog, we begin teaching them that pulling gets them absolutely no where. Dogs do what works for them. If pulling you to an interesting smell, playful canine buddy or happy greeting person gets them to those things, your dog has just learned that pulling is rewarding. So we make pulling unrewarding. If the leash is tight, we don’t move. And I mean your feet become cemented to the ground until that leash is loose again (or offer a sit). Next, we start teaching the dog that walking on a loose leash is rewarding. How? By making walking next to you more valuable than anything and everything else out there! This is no small feat. It requires constant communication with your dog. If the leash is loose you are praising, praising, rewarding with high value food rewards and praising some more. If the leash is tight, everything stops. The second it’s loose again all the good stuff starts happening again: movement, praise, food rewards. If your dog wants to go check out the smell on the near by fire hydrant, that’s fine! BUT they must walk on a loose leash to get to it. 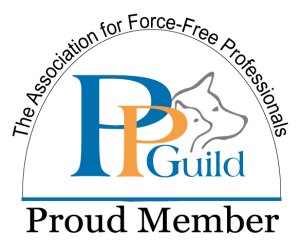 Your dog will soon learn that pulling gets them no where, paying attention to you and keeping the leash loose not only means they get to keep moving but they also get all kinds of goodies as well. With time, lots of practice and CONSISTENCY, that act of walking itself will become rewarding for your dog. They’ll understand the rules of the game and will be more than happy to play them. So let’s get out there and teach our dogs that how humans walk can be fun and rewarding! And you can start enjoying those long evening strolls through the park with favorite furry friend.